Mr. G's musings: Cool Photo. A baby elephant. I want a baby elephant! Isn't it the best. 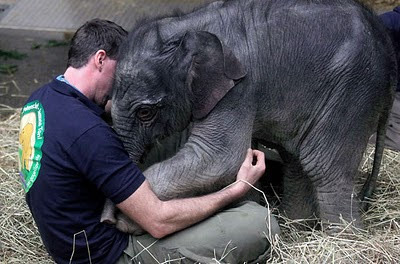 Baby elephant Jamuna Toni cuddles with a zookeeper at Munich's Hellabrunn Zoo.